Divorce without the presence of a spouse and divorce without consent of one spouse - the terms are legally enforceable. Divorce, passing unnoticed by one of the spouses, the law is not described, but still possible. Divorce without the presence of one of the spouses can be made both in court and in the office of the Registrar. A marriage where there are minor children and the property, shall be terminated in court. Otherwise to carry out the divorce can be in the registry office, by mutual consent. The presence of one of the spouses is required, the other can replace the legal representative or a petition for divorce with the notarized signatures of both spouses. Divorce without consent of one spouse or legally divorce unilaterally implemented solely by the court. The fundamental objection of one spouse to divorce a common phenomenon in judicial practice. 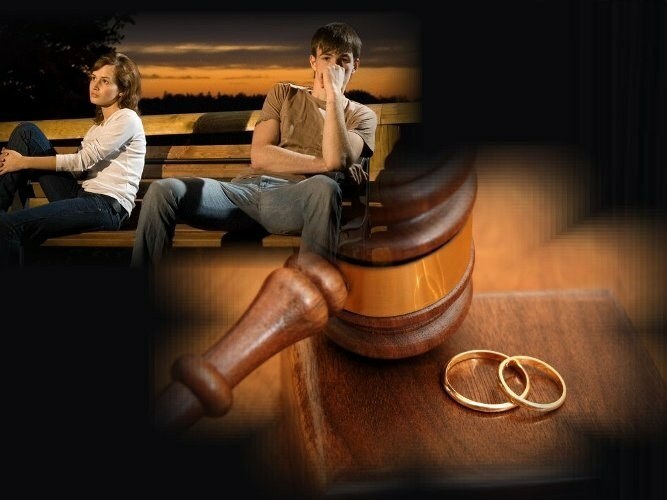 Legal grounds for divorce recognized the reluctance of one of the spouses to be married. The exception is marriage, where the wife is pregnant or has a child under the age of 1 year. The husband in this case has no right to divorce unilaterally. But the wife of this right is not limited. The divorce process, carried out without the consent of one of the spouses is easily converted into a process carried out without his knowledge. In the case where one of the spouses is three times failed to appear in court for valid reason, without providing explanation, the divorce will be granted. It does not matter was whether the party notified of the time and place of the hearing. If such an incident took place, the court's decision on the so-called automatic divorce, you can appeal within 7 days. It is important to remember that, in order to obtain a divorce a secret from the other spouse, will have to abandon any property claims. While the other party upon the discovery of fraud, will have the right to present them in the statutory time. The reasons for the desired divorce without the knowledge, may be different. Basic is the fear of violence, aggression rejected by half. The exception to this is the recognition by the court of one of the spouses is missing. Upon expiration of the statutory period divorce can be made by the present parties. Almost similar is the case with persons in places of deprivation of liberty, except for statutory deadlines. Such a marriage is terminated, regardless of the terms of imprisonment at will. It is important to remember that seeking to obtain a divorce a secret from the other spouse, will have to abandon any property claims. About 95% of divorce cases have a positive solution. The days when divorce required a serious, compelling reasons were. Now enough emotional discomfort of one of the spouses. The wording of the reasons specified in the act, sufficiently conditional. In fact, the court shall take into consideration only the unwillingness of one or both spouses to continue the family life. Factors such as the presence of property the issue of minors can complicate and delay the process, but in the end, it usually ends with annulment of marriage.